Miles Kimball, which has been around since 1935, offers a variety of items for every room of your home and people of all ages. You can even find items for your four-legged friend. On their easy to shop website, you’ll find items for everyday use. Plus, find seasonal items for Christmas, Halloween, Thanksgiving, Easter, and Valentine’s Day. It’s always great when you can find a place to buy many items that you need to outfit your home all in one spot. 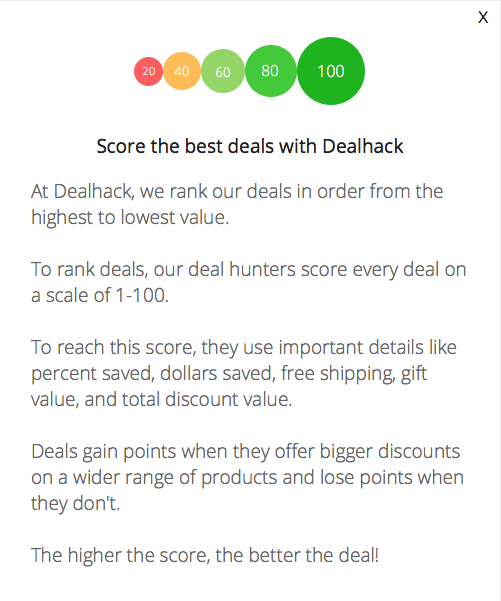 At Dealhack, we’re as big a fan of convenience as much as we are of saving money. That’s why we’ve searched all over to uncover Miles Kimball coupons. Use a coupon from this page to shop for a variety of items for your home all in one spot, and save yourself cash in the process. Some of the things you can find at Miles Kimball for your home include tablecloths, books, and pillows. You can also find lights, rugs, comforters, calendars, and cushions. You can also shop for bowls, dishes, toaster ovens, planters, doormats, and flags. Are you looking for clothing and accessories? Find basics like socks, t-shirts, slippers, pajamas, scarves, wallets, bracelets, and earrings. Start out by shopping the sale section where you can find items that are marked down in price. Shipping prices vary depending on the subtotal of our order, but prices are fair. They ship within the United States and Internationally. Sign up for the email list to stay informed of all the latest deals and special offers from the store. To save even more money, don’t forget to use one of the Miles Kimball coupons found right here on this page at checkout. Miles Kimball connects with their customers on social media. You’ll find them sharing their “unique gifts and unexpected finds” on social media. Follow Miles Kimball on Facebook, Pinterest, Google+, and Twitter. Do you need to reach the customer service team? Call 1-855-202-7394 or send an email to [email protected]. Check out their web exclusives for items that are marked down only online. Check out the Miles Kimball clearance section for items that are significantly marked down from their retail price. Sign up for the Miles Kimball email newsletter to get a promo code for 10% off and stay up-to-date on future deals and promotions. Join the Miles Kimball rewards club to get 10% off all orders over $20, free shipping on all orders over $20, and access to exclusive member-only deals. What is Today’s Best Miles Kimball Promo Code? The best Miles Kimball promo code right now is MKAFF392019. This code is for 'Buy 3 Get 15% off select Kitchen Gadgets'. Copy it and enter it on the Miles Kimball checkout page to use it. Shipping costs are calculated based on the subtotal of your order. You can often find a free shipping coupon right here on this page. Miles Kimball accepts returns for up to 45 days from the date of shipment. Personalized and clearance items cannot be returned.